The unification process of Samara State Aerospace University named after academician S.P. Korolev (SSAU) and Samara State University (SSU) has entered its final phase. On October 29, 2015, the Ministry of Education and Science of the Russian Federation signed an order on amendments being made to SSAU charter, according to which SSU subdivisions affiliate SSAU. Upon registration of the document in the Federal Tax Service, employees of Samara State University will be transferred to SSAU staff by supplementary agreements to their current labour contracts. Separate order issued by the university will transfer SSU undergraduate, graduate and doctoral students to Samara State Aerospace University. The administrations of both universities stress, that the unification process will be smooth and will not cause discomfort to 99% of teachers, staff and students of the united university. The classes will continue to be given on the schedule, which was approved on September 1. SSU students will continue to receive all the scholarships awarded by scholarship orders until the end of validity period of these orders. “As for the teachers, upon the staff schedule analysis of the two universities, it became clear that no one of SSU employee will receive lower wages than he earns today, - says Valeriy Matveev, SSAU Vice-Rector for Academic Affairs. - These changes will affect the university administration and the heads of duplicative services. The problems are solved individually here”. “Changing the University name will become the next step, - said Mikhail Kovalev, SSAU Pro-Rector of General Matters. – On August 17, the Supervisory Board adopted a decision that the new institute will be called Samara National Research University named after academician S.P. Korolev. To change the name, it’s necessary to make the appropriate changes to the Charter. In other words, at first, we will amend the Charter relating to the implementation of the order of the Ministry of Education and Science of the Russian Federation dated 06.22.2015 No.608 “On reorganization of SSAU and SSU”, and then - changes associated with the name change. It is expected that implementation of the second phase will take about a month, as in accordance with the established procedure, amendments to the Charter will be approved again by the order of Ministry of Education and Science of Russia, agreed in the Federal Agency for State Property Management, and then registered in the Federal Tax Service. And after the changes of the second phase, all employees and students of the incorporated university will sign supplementary agreements to their labour contracts and will change their teacher and student ID cards”. Basic integration process of entering Samara State University into Samara State Aerospace University is scheduled to be completed within a year. During the admission campaign in 2016 entrants from Russia, CIS and foreign countries will come to study in the Samara National Research University named after academician S.P. Korolev (the short title: Samara University). At the same time, an associate university will still have one of the main objectives - to enter the top 100 best universities in the world by 2020. Samara State Aerospace University named after academician S.P. Korolev (National Research University) is one of the world's leading centres for scientific research and training of highly qualified specialists for high-technology industries. It is one of the best Russian universities working on the program of competitiveness enhancement of Russian universities among the world's leading research and education centres (the Project “5-100”). It is in the process of transformation into the Samara National Research University named after academician S.P. Korolev (shortly - Samara University). This reorganization is being performed by affiliation of Samara State University to SSAU. 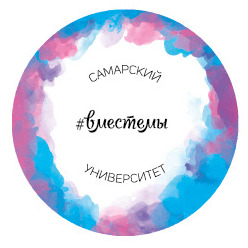 The joint Samara University consists of 5 institutes, 16 faculties and over 100 departments, one branch and two representative offices (in Togliatti and Blagoveshchensk), technical school and college. Nearly 17 thousand students from Russia, CIS countries, Southeast Asia, Africa and Latin America study here on Bachelor’s, Specialist’s and Master’s Program. Chairman of the Supervisory Board of the University is D. O. Rogozin, the Vice Prime Minister of the Government of the Russian Federation, Chairman of the Military and Industrial Commission affiliated to the Government of the Russian Federation. Rector is professor Ye. V. Shachmatov, Doctor of Engineering Sciences.